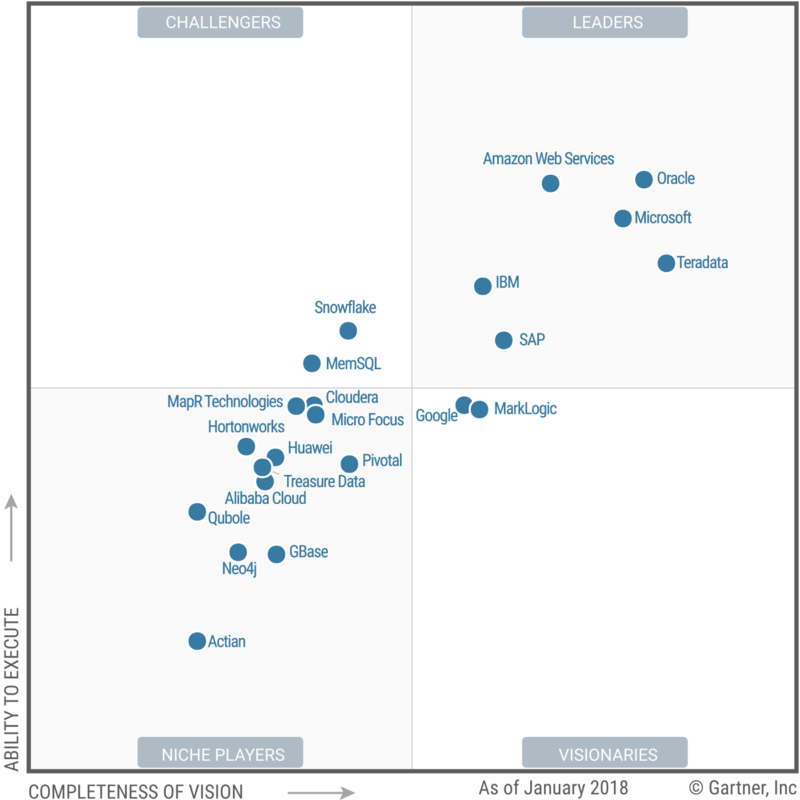 Gartner has, once again, recognized Microsoft as a leader in the Magic Quadrant for Data Management Solutions for Analytics (DMSA) for 2018. Gartner defines the DMSA as a system for storing, accessing, processing, and delivering data intended for one of the primary use cases that support analytics. These use cases include supporting ongoing traditional, operational, logical, and context-independent data warehousing.